The Manistee Forest Festival began as a way to celebrate and honor the Manistee National Forest, which encompasses over 480,000 acres. This is truly a "don't-miss" event for the entire family, and a great venue for making some wonderful summer memories. The next Manistee Forest Festival takes place from July 4-7 in 2019. 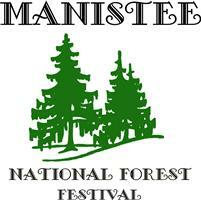 The annual Manistee Forest Festival promises fun for the entire family. It's one of the largest 4th of July celebrations in the state, presented by the Manistee Chamber of Commerce since 1936. Tens of thousands visit Manistee County for the Manistee Forest Festival, which features a Grand Parade, art exhibits, carnival rides, beach dances, tours, festival tent, fine arts/crafts show, and fireworks over Lake Michigan. The fun takes place in downtown Manistee and at the beach at both First Street and Fifth Avenue. Whether you visit the Manistee Forest Festival for just one day, or every day--there's always plenty of fun to go around! Festival Marketplace & Food Vendors. 47th Annual Manistee World of Arts & Crafts Show. Little Big Shots Talent Show. Classic Car Show and Cruise. Beach Buddies Kids Parade & Activities. Prince & Princess Pageant Crowning Ceremony. 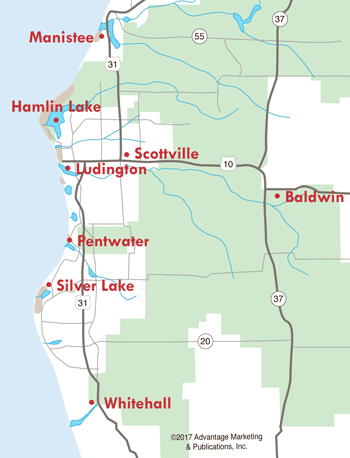 While you're in town for the Manistee Forest Festival, be sure to explore Manistee's 1.5 mile Manistee Riverwalk, the Historic Ramsdell Theatre, the Michigan Audubon Society Lake Bluff Center....plus all the great fishing, boating, and golfing you'll find in this area along Lake Michigan.